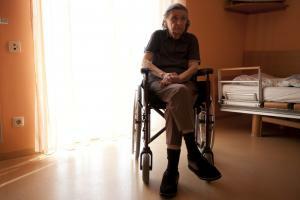 The decision to put an elderly loved one into a nursing home is often hard. Once the decision is made, you hope that your parent or grandparent will be well taken care of and comfortable. However, unfortunately, America’s nursing homes are often understaffed and undersupervised, meaning that it is all too easy for nursing home residents to be abused or neglected. If you suspect that your loved one is suffering from abuse or neglect at a nursing home, please don’t hesitate to contact the Law Offices of Gary Bruce at 706-685-6713 to schedule your complimentary consultation. We care about each of our clients, and we will do our best to help you and your loved ones receive justice and compensation for your suffering. Abuse and neglect in nursing homes can take on many different forms, including direct physical abuse, sexual abuse, overmedication, lack of supervision, and more. Development of bedsores is often a telling sign that a nursing home is neglectful; elderly patients who lack mobility need to be turned regularly to prevent bedsores. Neglect at a nursing home can have dire consequences that result in hospitalization or even the death of your loved one. If an elderly patient suffering from dementia or Alzheimer’s wanders out of the nursing home and into the street, they could be seriously injured or killed. If your loved one has died as the result of nursing home abuse or neglect, you may be eligible to file a wrongful death lawsuit. If you think that your loved one is being harmed at a nursing home, there are steps you can take to hold the nursing home liable and rescue your loved one from the situation. First, you can file a complaint with the Georgia or Alabama Adult Protective Services. Next, you should call the Law Offices of Gary Bruce. We offer free consultations and will be happy to let you know if we think you have a strong case. Unfortunately, many nursing homes in Georgia and Alabama fail to provide adequate care to their physically and mentally fragile residents. There have been many reports of nursing home abuse and neglect in recent years, so much so that there has been a backlog of complaints at the government level. Personal injury and wrongful death lawyer Gary Bruce and his associates care about you and your family, and we will fight for your right to justice and compensation. Don’t let your loved one suffer longer than they have to at a neglectful or abusive nursing home. Call the Law Offices of Gary Bruce today at 706-685-6713 to schedule your complimentary consultation. We serve clients in Columbus and Fort Benning, Georgia as well as Phenix City, Alabama.